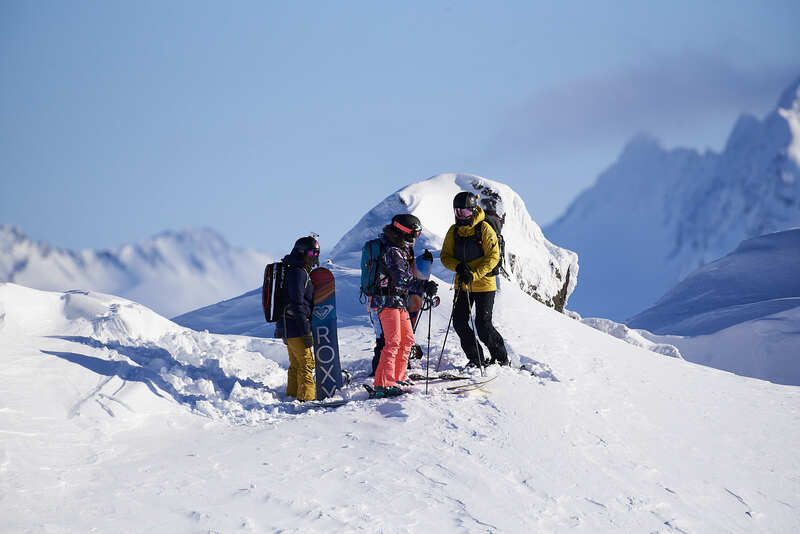 Imagine chasing fresh powder (including a dedicated and incredible team of heli-skiing guides) with an awesome crew and three amazing #ROXYgirls - Torah, Lena and Robin. Sounds like one heck of a good time right? 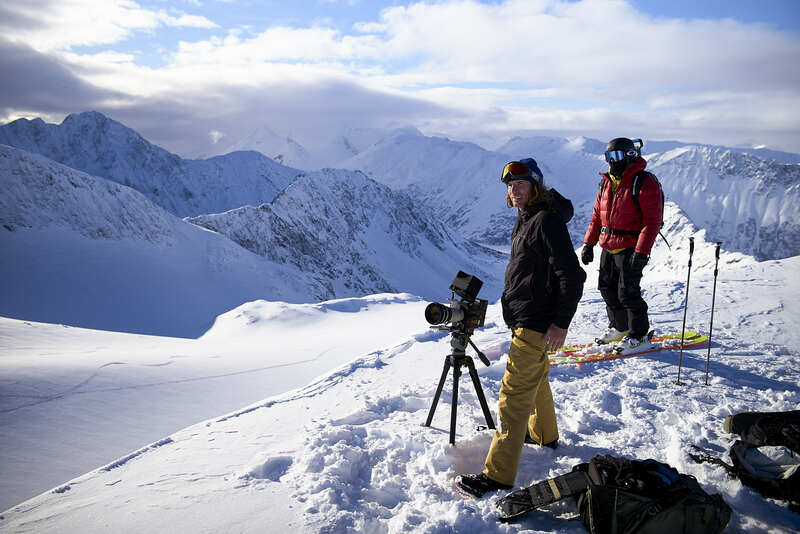 This was exactly how our most recent snow shoot came about Alaska earlier this year. 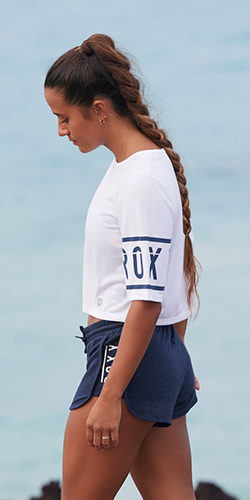 But rather than taking our word for it, we asked Robin to give us all the behind the scenes exclusives… Scroll down to read more. 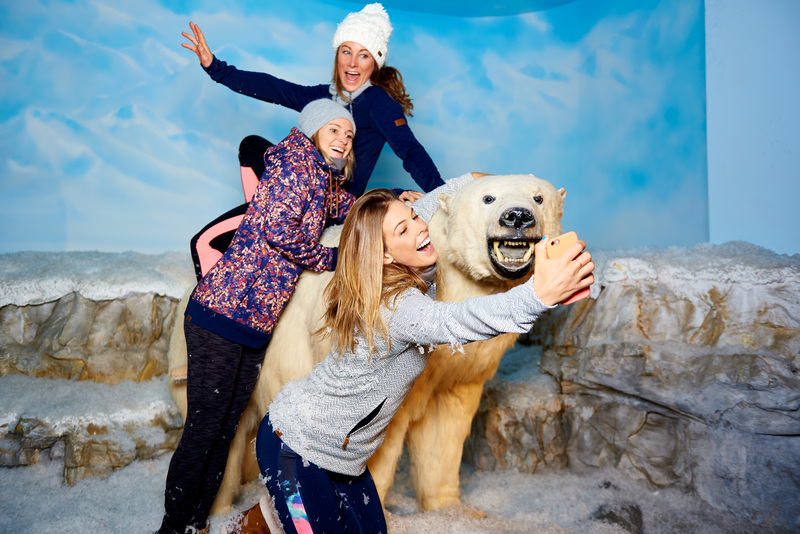 We rode a Polar Bear… if that doesn't set the scene for our trip to Alyeska Resort, I don't know what does. Everything you have heard about Alaska is true; It’s a little rough around the edges, teaming with animals, incredibly vast, and as wild as it comes. This wasn’t my first time to AK, I have been frequenting Canada’s top hat for many years, but it never seems to get old and every time you go, it just seems bigger and more jaw-dropping. 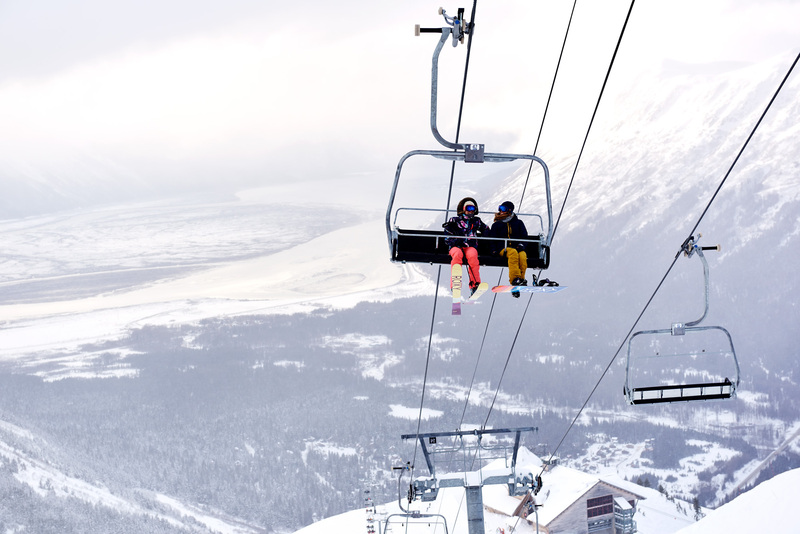 When you heard the words “Let’s go to Alaska”, there are no variables, it’s a done deal… always. 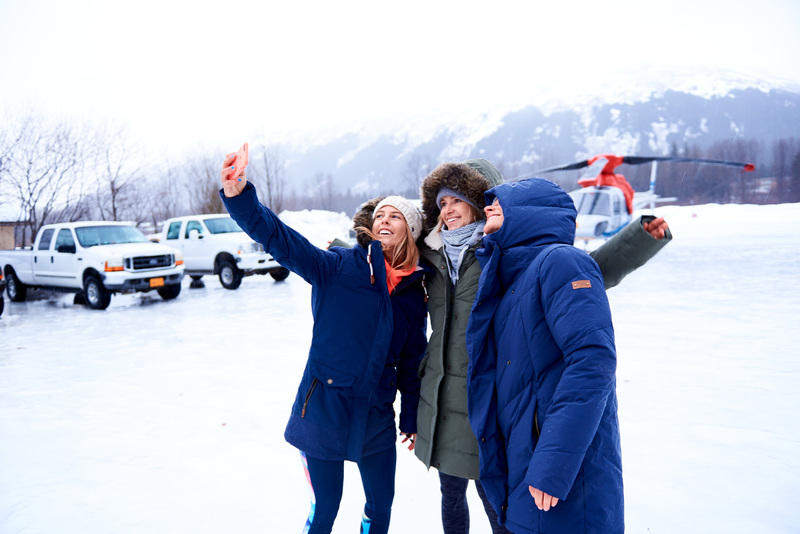 Lena Stoffel, Torah Bright, myself and a strong ROXY production team rallied up to Alaska for this winter’s campaign shoot. February is a tricky month to get any weather that you can see through, but it was worth a shot at getting a window. With Alyeska Resort absolutely hooking it up, we were greeted and treated in true Alaskan hospitality. We were nestled in the Girdwood castle right at the bottom of the ski hill with access to the gondola right down the hall from our rooms; it really doesn't get much closer than that. 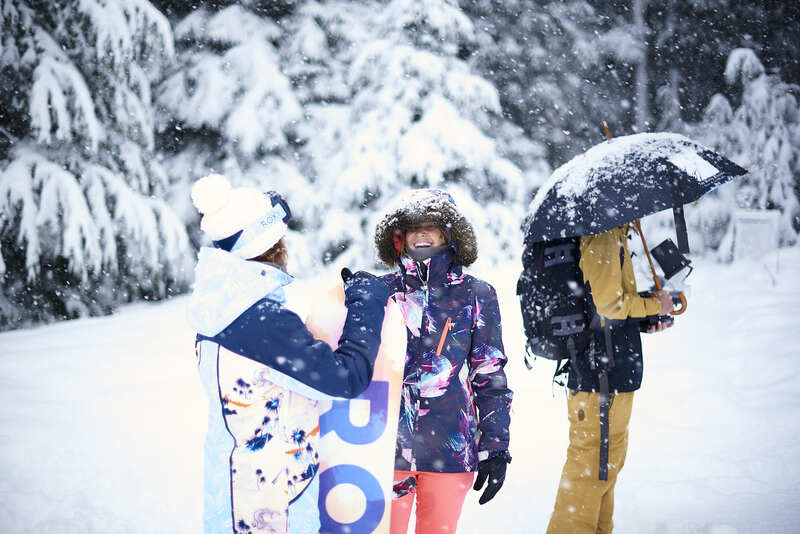 In true form, February pulled through with an intense storm delivering blankets of fresh powder and face shots for almost every morning of the trip. Thick white sideways blowing snow is always welcomed for hot-lapping the resort, which we did for 4 of 5 days. 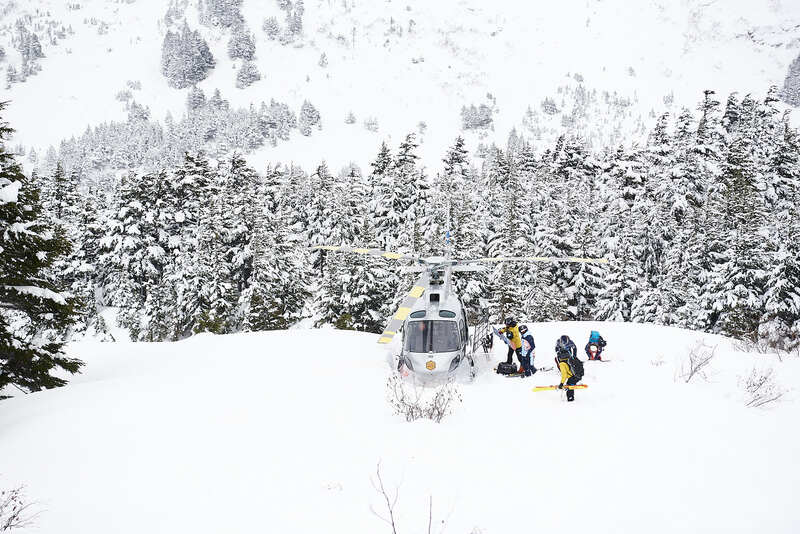 The truth is, we were also there to do what the mountains up there are world renown for, heli-skiing. 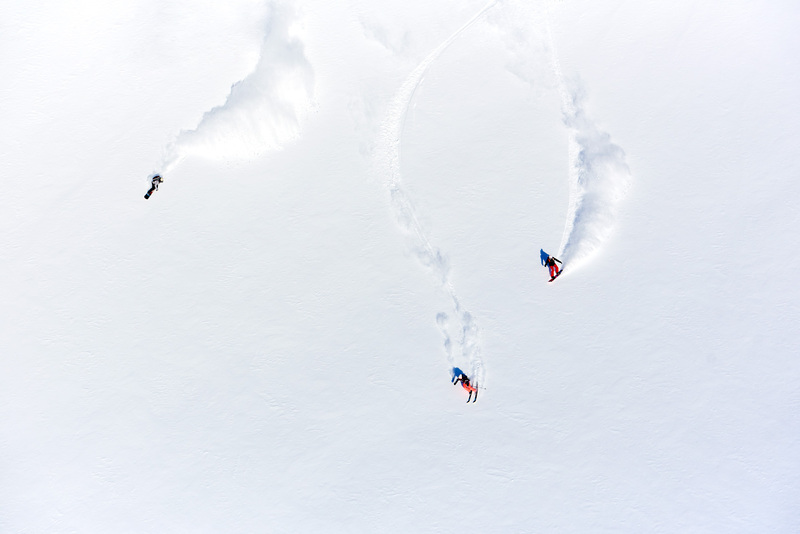 We had a couple days of heli lined up for this trip and every day was a nail-biter at breakfast trying to figure out if today was the day we could ride lines that would make you think twice about bringing TP in your pocket. 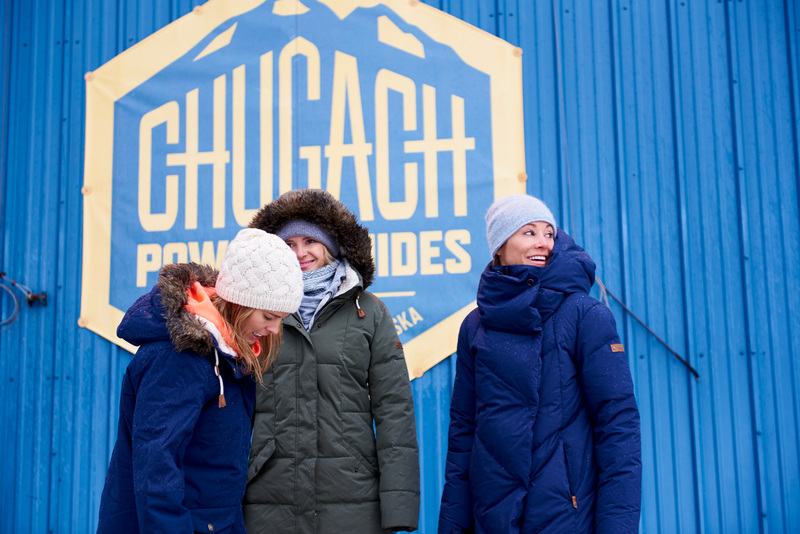 Most days we went to the Chugach Powder Guides hanger and tried to manifest a window, most days we were turned around to ride on the resort and deal with what they call in heli biz ‘the slow roast’. 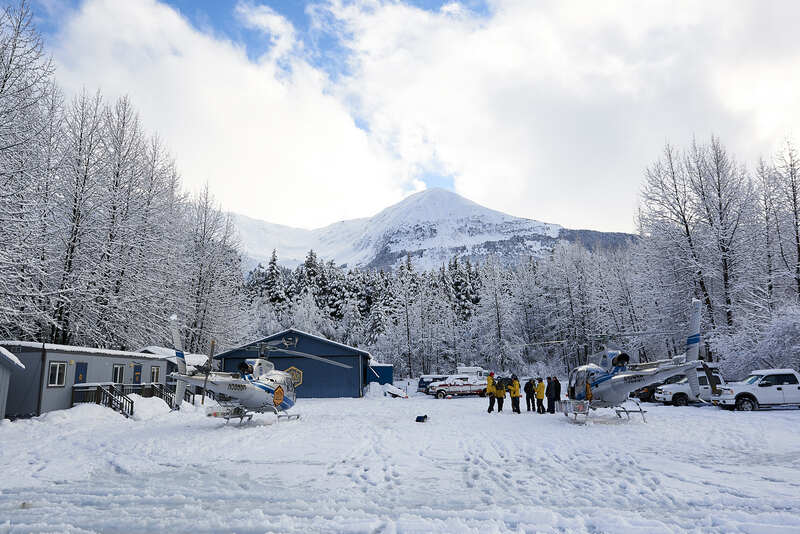 That’s the deal with riding in Alaska, you had better get used to down days and fill your time with activities like mounting stuffed Polar bears, eating fresh fish and crab and spending some time drinking hot toddy’s by the fire…I know, sounds awful! After 4 days of ‘slow roasting', finding every activity possible on the resort and in the lodge and riding powder days, we finally got our window. 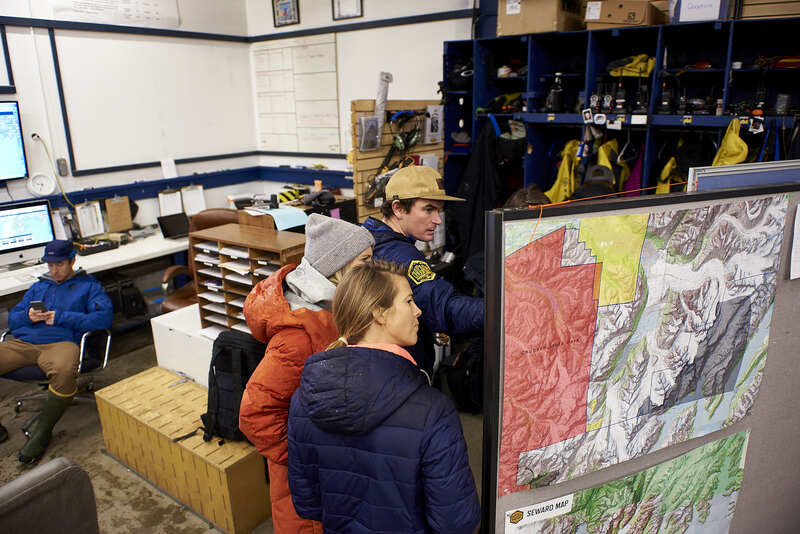 Before we knew it, we were flying over jagged peaks and scoping terrain. 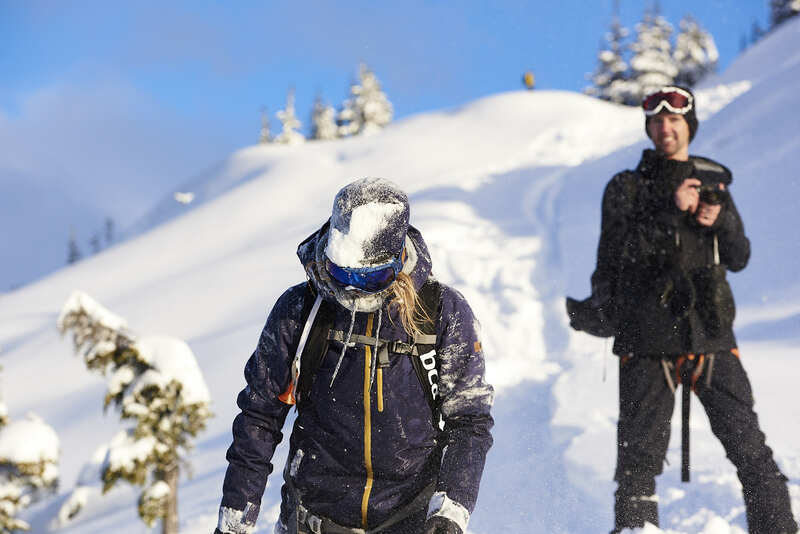 Just when you think you are about to get a banger day, reality kicks in that it just snowed for 4 days and now it’s sunny, (not to mention avalanches were going to keep us off any sort of complex terrain). Not to worry, sunny hot laps in the heli on something a little less complex was going to be just fine. Somehow, Alaska always pulls through if you have the patience to wait for the goods. 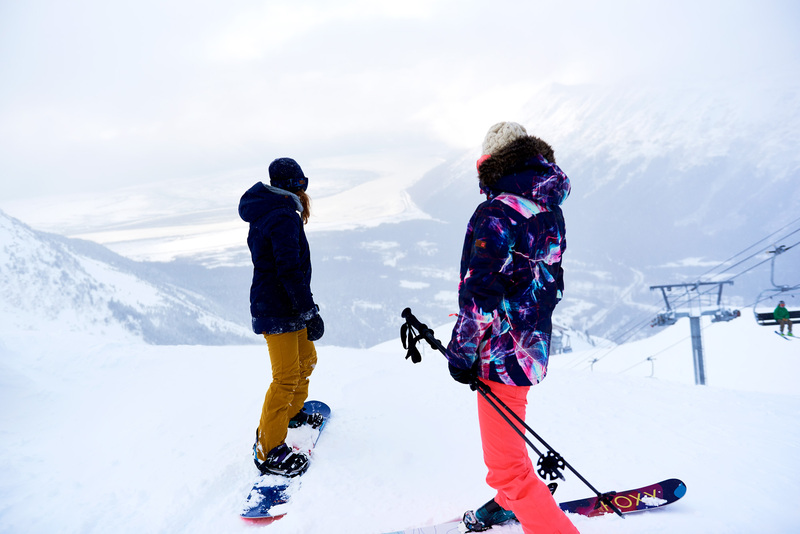 I could go on and on about the details of the trials and tribulations of riding big mountain terrain, eating fresh seafood, wandering the streets of Girdwood at night in a storm, but this is better left for you to explore on your own.